Shonlock has been in the game for a while now and he is gearing up to release his next project “A Night To Remember” on March 18th. A visual for the title track has been released and you can check it out below. I really like the black jacket and pants combo, I need that in my life and I love the song!! Who says Christians can’t do EDM!?! This is a great song, with high energy and a Zedd feel to it, makes me even that much more anxious for summer to be here already. Great job Shonlock! Pre-orders for “A Night To Remember” are available now, and you can get the title track early if you pre-order. Otherwise, hit up iTunes on March 18th to download the project. 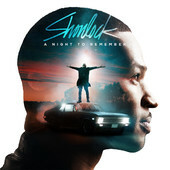 Connect with Shonlock via his Twitter (@shonlock) and let him know what you think of “A Night To Remember”.